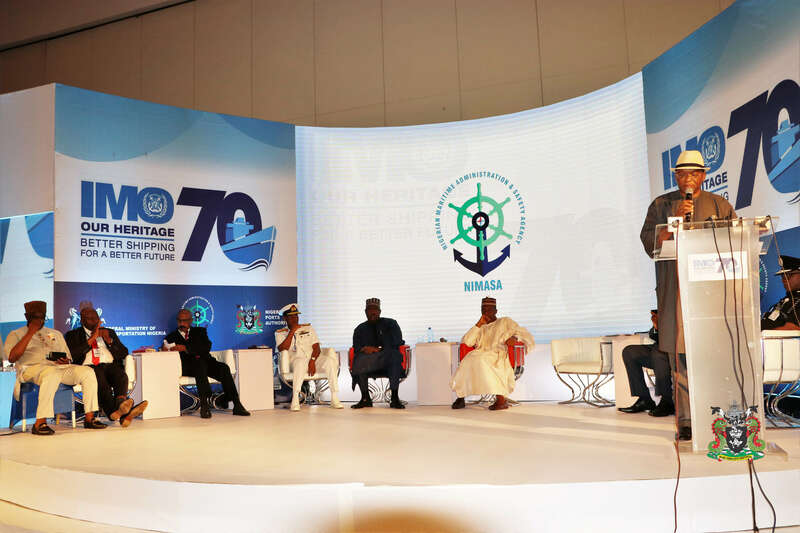 L-R: The representative of the Managing Director of the Nigerian Ports Authority (NPA) and Executive Director, Marine and Operations, Dr. Sokonte Huttins Davies (right) giving the goodwill message at the World Maritime Day Celebration in Lagos, today. 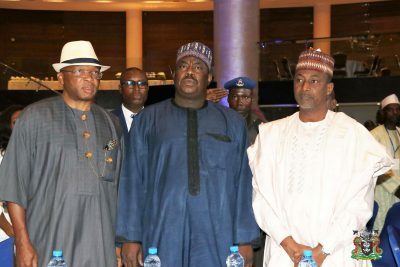 L-R: The representative of the Managing Director of the Nigerian Ports Authority (NPA) and Executive Director, Marine and Operations, Dr. Sokonte Huttins Davies, the representative of the Secretary to the Government of the Federation (SGF), Minster of State for Power, Works and Housing, Mustapha Baba Shehuri, and the Permanent Secretary, FMOT, Alh. Sabiu Zakari during the World Maritime Day Celebration in Lagos, today. 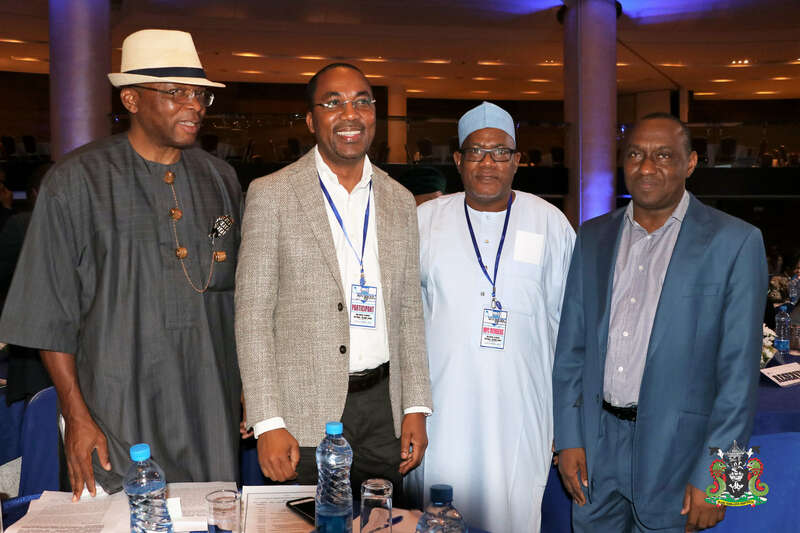 L-R: The representative of the Managing Director of the Nigerian Ports Authority (NPA) and Executive Director, Marine and Operations, Dr. Sokonte Huttins Davies, Executive Director, Finance and Administration, Mohammed Bello-Koko, the Director of Maritime Service, Federal Ministry of Transportation (FMOT), Sanni Umar Galandachi and the Executive Director, Engineering and Technical Services, Prof. Idris Abubakar during the World Maritime Day Celebration in Lagos, today.